Panna Cotta another Italian famous dessert known for its creamy texture and taste. 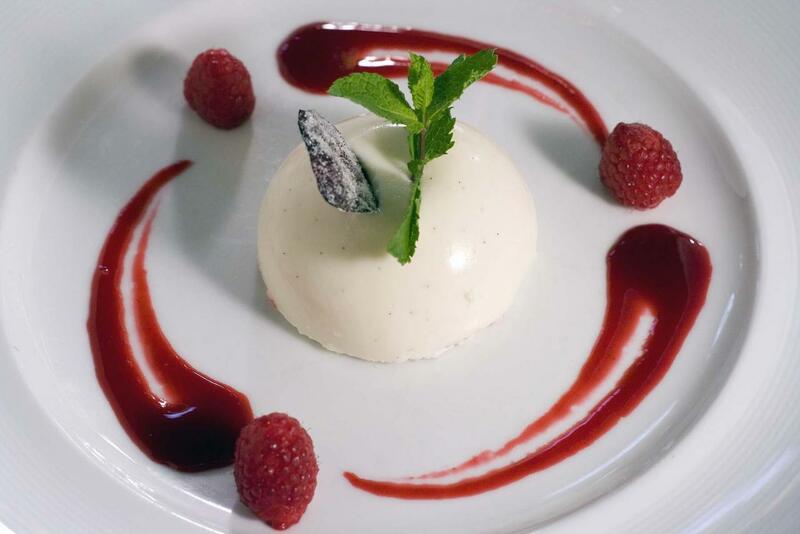 Panna Cotta means cooked cream, and is usually served with a fruit coulis. 2. Soak the gelatine leaves in ice cold water. 3. Once cream is boiled, remove the leaves and squeeze out the water and mix it with the hot cream. 5. Let the mixture cool for about 4-5 mins. 6. Pour the mixture in the desired moulds and keep them in the fridge to chill for about 4 hours or untill set. 7. Serve it chilled with desired fruit coulis for extra flavor and eye appealing. Note : 1. Various flavors can be added while boiling the cream, for eg. lemon zest, orange zest with some orange juice and many more. 2. If gelatine leaves are not available, powdered gelatine can be used instead. 3. For approx every 250 ml of liquid, 1 gelatine leaf is used. 4. While substituting the leaf for powder, for every 1 leaf, approx 5-6 gms of powdered gelatine can be added. 5. Remember to dissolve the powdered gelatine in warm water before using.